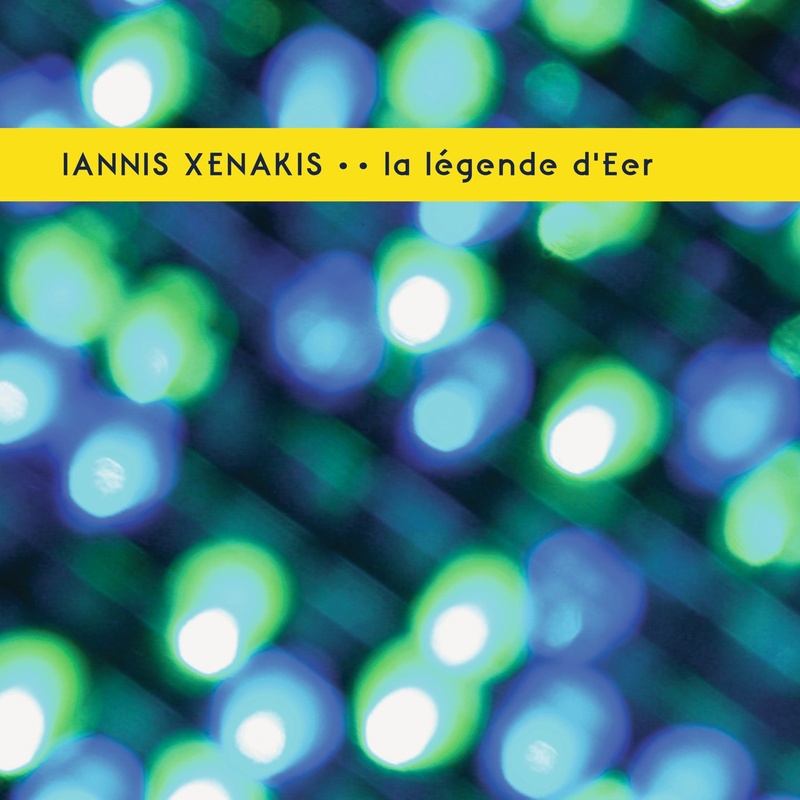 Release #2 in the PERIHEL series is one of the most famous electroacoustic compositions by IANNIS XENAKIS. Mixed by MARTIN WURMNEST, mastered & cut by RASHAD BECKER, “La Légende d’Eer” is available as vinyl (180gr, DL code, insert with liner notes by REINHOLD FRIEDL) and download for the very first time. When IANNIS XENAKIS (1922-2001), who had fought against the occupation as part of the communist Resistance, moved to Paris in 1947 it was the start of a highly creative and impressive career. XENAKIS not only studied composition with MESSIAEN and became one of the most innovative composers of the 20th century, he also worked as assistant to LE CORBUSIER and realized a.o. the Philips Pavilion for the World Exhibition in Brussels 1958. His compositions often are based on mathematical principles (in 1966 he founded the CEMAMu – Centre d’Etudes de Mathématique et Automatique Musicales), which give his music an unprecedented aesthetic and “shocking otherness” (The Guardian). The most famous works of XENAKIS, who won the Polar Music Prize (considered the unofficial Nobel Prize for music) in 1999, are his compositions for orchestra Metastasis, Pithoprakta and Terretektorh (where the 88 musicians are spread within the audience) and the electroacoustic compositions Persepolis (to be re-released later on as part of the PERIHEL series), Concret PH, Bohor and La Légende d’Eer where XENAKIS integrated his stochastic synthesis sounds for the first time. As legendary as this piece itself is the impenetrable thicket of versions and stories around La Légende d’Eer – it exists in different releases, wrong sample rates, digitized backwards … this now is a new version, using the 8-track-version that XENAKIS himself presented at Darmstädter Ferienkurse in august 1978. As the automatic spatialization is lost, this became the only original version of this composition and is presented here (mixed down to stereo by MARTIN WURMNEST who tried to preserve the spatial movements as perceptible as possible – mastered by RASHAD BECKER at D&M) for the very first time. La Légende d’Eer not only became a milestone of electroacoustic music but is also an important reference for noise and industrial musicians up to the present day!